In which Green Bean gives the minivan the boot. I've been in love with hybrids since they hit the market back in the late 1990's. Too expensive, I decided in 1998. And I already owned a car. But wow! Look at that gas mileage. In 2000, I thought about it again but who was I fooling! I was having a kid. In 2004, I lamented the lack of larger, family friendly fuel efficient vehicles and bought a minivan instead. Seven years later, after over a decade of longing, I thought again about kicking my gas-guzzler to the curb. I found myself doing a lot of driving for personal reasons. My carpool had shrunk as a result and, on most days, I only had a total for 4 kids - including one teen who could sit in a front seat. We took the plunge and traded our minivan in for a hybrid. Not a fancy new plug-in. Not the all electric Leaf. Just a run of the mill, used Prius. I felt good. Virtuous, even. No wasted resources as I toddled around town on errands or schlepped the kids to lessons and tutors. My gas tank stayed full. I figured out how to run on electric mode as much as possible. We took a road trip to a national park and felt proud - though cramped. So much so that I begged my husband to unwind the transaction. Carpool was tight making boosters a "luxury" which my kids (technically over the legal booster limit) suddenly "didn't need". Everything is louder and less comfortable when the kids are RIGHT behind you, instead of lounging in the third seat. Garage sales and antique hauls were going to be impossible. Visits from my family or if both kids have a play date will necessitate trips with multiple vehicles. And gone were the days when I'd offer to pick up extra kids when I drove the carpool home from school. But, do I miss my minivan? Not so much. Good riddance to the cavernous feeling, the giant bus-like turns, and accidentally bumping into things with that tail end all the time. Oops! I can fit into snug spaces, parallel park anywhere and never feel like I am "too much." And then there's that gas mileage thing. 51 miles per gallon ain't too shabby! Going from minivan to mini is an adjustment but I don't think I'd ever go back. Turns out most of the inconveniences to owning a small car don't come up that often. Certainly not enough to justify the carbon footprint and fuel in-economy of a minivan or SUV. ** Keep the conversation going! Like us on our Facebook page. 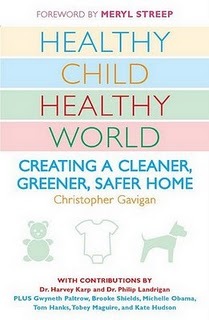 Eco-novice reviews Soule Mama’s latest book. 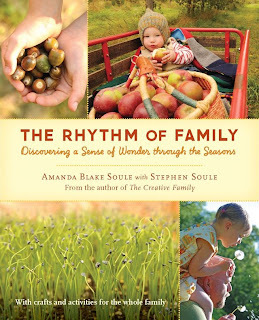 One more book you may want to add to your fall reading list: The Rhythm of Family by Amanda Blake Soule. 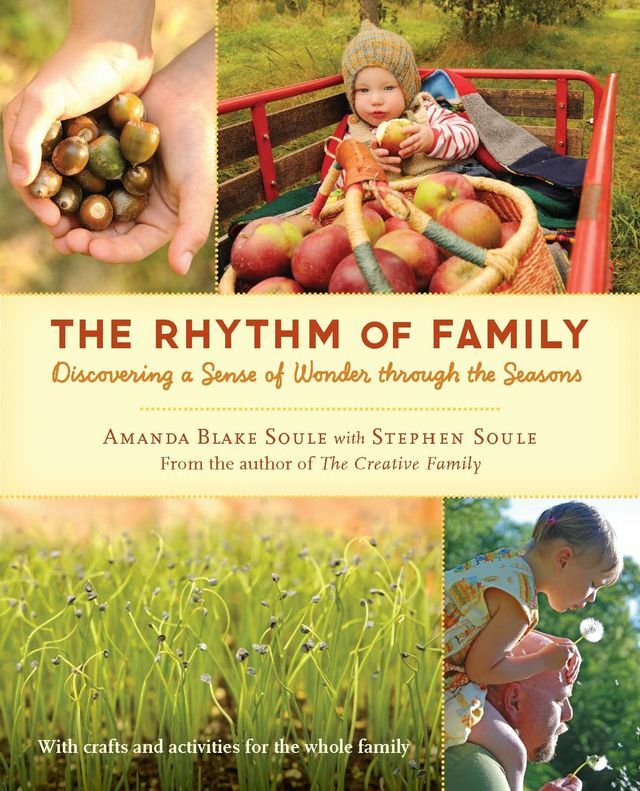 The Rhythm of Family: Discovering a Sense of Wonder throughthe Seasons is a book of essays, photographs, crafts and activities inspired by the seasons, full of insights into how to help the entire family discover and connect with the natural world. Fans of Soule’s blog SouleMama will undoubtedly enjoy the book as it draws upon the same elements as her blog: logs of daily activities and reflections by both Soule and her husband, beautiful photographs, as well as crafts and tutorials. The chapters are titled after and based upon the months of the year, beginning with January. I think it would be fun to read a chapter each month (beginning with whatever your current month is at the moment), especially if you live in the northeast United States or other area whose seasons mirrors those of Soule’s home in coastal Maine. My favorite parts of the book are the Make & Do sections, although there are wonderful ideas for exploration and discovery embedded in the essays as well. I love Soule’s philosophy that “there is always a way for everyone to be included,” from the youngest to the oldest in your family. The Make & Do sections include a wonderful variety of activities: recipes for bread, soup, lotion, and bug spray; sewing projects; crafts involving stamps, dyes, homemade paper and notebooks; ideas for bringing the natural world into your home; instructions for growing herbs and plants; as well as ideas for outings and adventures in nature. As a product of suburbia (largely ignorant about the natural world) who is not particularly crafty (can't knit, barely sew), I think I can imagine myself attempting to do half to two-thirds of the crafts and activities described in the book. Another favorite element of the book is Soule’s lists of books on birds, tracking, cooking and more interspersed throughout the book. I am a sucker for a good book list. I have read all three of Soule’s books, and I think The Creative Family is still my favorite. As I read The Creative Family I took pages of notes on activities and routines I would love to incorporate into our own family life. But The Rhythm of Family has probably most motivated me to find additional ways to connect my kids with nature. Much like Soule’s blog, this book makes me envious of how much less disconnected Soule’s family is from the natural world than the average urban or suburban family. I think that her children are truly lucky to be growing up with these experiences and wish that same kind of connectedness with the natural world to whatever degree possible for my own children. So while the book is full of wonderful ideas, it is also simply a source of inspiration. Soon after I started reading The Rhythm of Family, I decided to use a gift card on books about the local nature of my area and guides to identifying trees and birds for children, and I started talking to my kids on our walks about the parts of the tree and the shapes of the leaves. While we have always stopped to look at bees and flowers, I find myself wanting to take this discovery and learning a step further, and am trying to be a little less grossed out by my kids’ fascination with snails, dead insects, and rotten fruit fallen from trees. I find myself planning to go on a nature treasure hunt every month or season, perhaps creating a collage of our discoveries. Reading the book has helped me remember to slow down, look around, learn the names of birds and wildflowers, resist the busyness of our daily lives. I may eventually pass along my own copy (once I’ve jotted down a few notes), but for now I’m still enjoying leafing through the pages, dreaming of ways to explore the seasons with my own children. Pick up a copy at your local library or bookstore – I think you’ll enjoy it. FLOR Modular Carpet Tiles: Jess from Sweet Eventide shares information about an eco-friendly company with an attractive product. 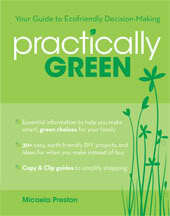 Avoiding the Halloween Headache of Consumerism: Going Green Mama has tips for an eco-friendly day o'Trick-or-Treating! 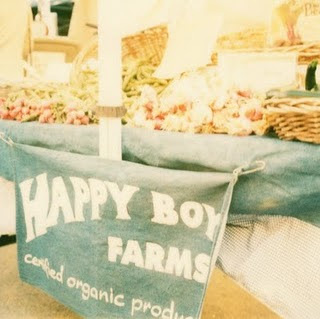 Not Just Green: In accepting a One Lovely Blog Award, Green Bean links to some of the Boothers' favorite green blogs. Meaningful Memories Mondays: The Conscious Shopper invites guest bloggers to share ideas for making the holidays less hectic and more, well, meaningful. Check out all the Meaningful Memory posts! 5-Minute Fix: DIY Salad Spinner: Envirambo shares a nifty, frugal kitchen tip (and a fun animated picture!). 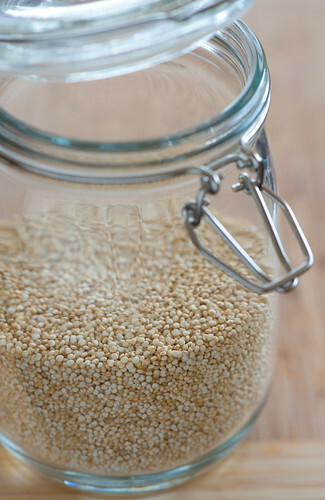 Conscious Shopper Challenge: Learn to Cook: Erin challenges you to dive right in when you get in the kitchen. Learning to cook is one big step to greening your groceries. Foodies of the Future: Green Bean is teaching a kids' cooking class! Recycled Sweaters: Wool Felt Projects: Jenn the Green Mom joins the Booth with instructions on felting old sweaters and remaking them into quilts, mittens, hats and Christmas stockings. Raising Chickens in the Suburbs: JAM shares tips with Green Bean, who is getting chickens — and they share the advice with the rest of us! 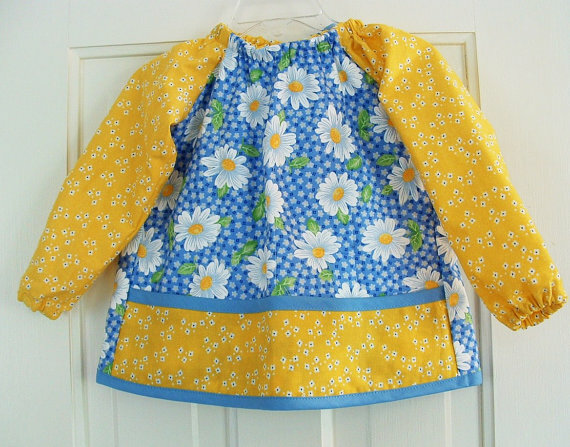 A Day on the Farm: Greenhabilitator muses about the change in perspective, when gardening and sewing become a lifestyle we choose rather than chores we dread. Handmade for the Holidays: The Conscious Shopper shares links for handmade gift patterns, with an eye on the calendar creeping toward December 25th. Ladies & Gentlemen, Mr. Michael Pollan: EnviRambo shares some thoughts after hearing Michael Pollan speak. Green Collar Economy: The Conscious Shopper reviews Green Collar Economy. "Hands down, this was my favorite non-fiction book of all the books I've read in the past year (and I read a lot)," she says. Going Green Mama appreciates her mother's attempts at greenness. With kids, you expect them to see an idea and twist them into their own interpretation. With parents sometimes, I'm finding, you should expect the same. A few years back, I mentioned on my blog the idea of saving Happy Meal and other toys for trick-or-treat swag. As my daughter grew and we were invited to more events, I found myself stuck with random "toys" that were cluttering up my house. One by one, over the next year, I snuck them away for a Halloween stash. It was an absolute hit - particularly with the teens in our neighborhood, who I suspect cleaned us out. My mother got wind of this idea, and thought it was great. She had realized that the child-size meals at fast food restaraunts were ideal for portion control and better on her budget when eating out with her friends, so she began stockpiling the toys. The next trip north, she presented me with the Happy Meal toys. I allowed my kids to play with one, and spirited the rest away. Long story short, I now have not one but two cardboard boxes in my garage crammed with Halloween toys. The good news? I won't feel guilty about giving kids candy this season. But I think, in the course of eschewing clutter, I have created a monster or two. With the weather getting cooler it's a great time to make a cup of hot tea or coffee and curl up with a book. 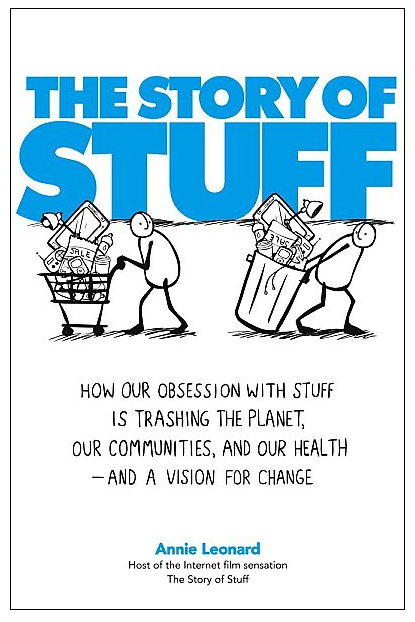 Here are some suggestions for great green books to read this fall. A book I can't wait to read is "The Non-Toxic Avenger: One woman's mission to reduce her toxic body burden." by Deanna Duke. It's by the one and only Crunchy Chicken. So be on the look out for that book. What green books are on your reading list for this fall? Killer cantelope and arsenic in apple juice: What's a mom to do? Yesterday morning I turned on the news for the first time in a week. Two of the top stories? 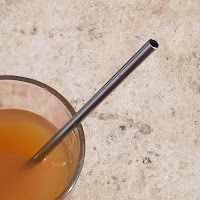 "Killer cantelope" (the anchor's words, not mine) and a study about arsenic in apple juice. And that's after reading about a ground turkey recall just days before. I worry enough about the food I feed my kids. Is my prep time and budget giving them enough produce? Are they eating a healthy array of foods? And yet, now if I buy store-bought foods, once again I'm reminded that I need to rethink about food safety. The reality is, there's much we can do to prevent food-borne illnesses at our home, such as properly washing your food, cooking utensils and supplies, and your hands; and separating raw produce and meat. Before eating fresh fruits and vegetables, always wash them in a dilute dish soap solution and then rinse in clean running water. Washing helps remove germs, as well as traces of certain pesticides on the surface. The most important steps in minimizing the risk of contaminants are proper washing, good agitation and a thorough rinse. To be safer, you can rinse produce with a sanitizer after washing and rinsing with water. You can use a commercially prepared vegetable/fruit sanitizer or a dilute bleach solution. The solution can be made by adding one teaspoon (5 ml) of household bleach to one quart (1 litre) of water. When washing fruits and vegetables, cut away any damaged or bruised areas since harmful germs can grow there. Throw away any rotten fruits and vegetables. Always wash fruits and vegetables that have a rind before peeling or preparing them, such as pineapples, cantaloupe, oranges, melons and squash. Although the skin and outer surfaces protect them, germs can grow if the surface gets broken, pierced or cut, especially in melons and tomatoes. Wash and scrub fruits and vegetables that have firm, rough surfaces such as potatoes, using a clean scrub brush for produce. Always discard the outer leaves of leafy vegetables grown in or near the ground, such as lettuce and cabbage. 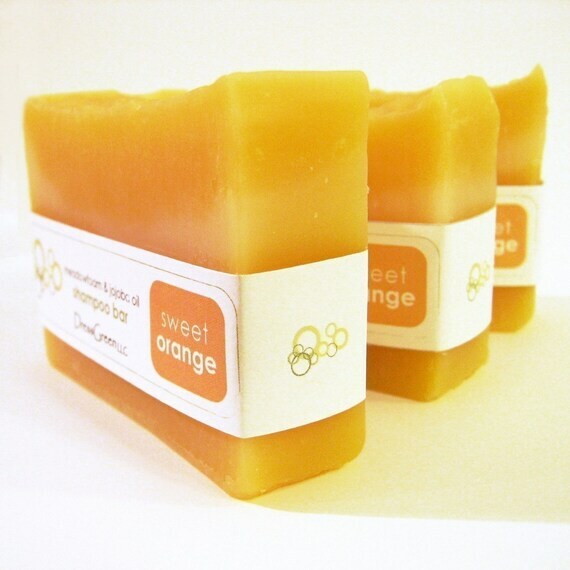 The outer leaves are more likely to be contaminated with germs. But the reality is, there are some things we just can't do. Like, many times, do the "sight test" and tell whether there's deadly bacteria. Or check a label or make purchases simply based on past results. As the FDA said, "Testing a small number of samples of different brands of juice only provides a snapshot in time of how much arsenic was in a particular lot of juice. " This is one of those situations where, when you can, it's best to get to know your growers. I'm starting to believe more and more that the somewhat higher price you might pay when supporting your local farmers on meat or milk may be worth the price of keeping your loved ones safe from the foods that are supposed to keep you healthy. Imagine this scene: Some maniacs have tied your children to a train track--then hopped on the train, released the brakes, and sent a mighty engine roaring down the track. Right for your children. The TRAIN Act is a delaying tactic created to protect polluters’ right to pollute. It is busy work for politicians whose stated goal is to block any and all environmental protections--no matter what the cost to our children’s health. Mercury, lead, arsenic, acid gases--these are the poisons spewing from coal plants that EPA, in any administration, is required by law, under the Clean Air Act, to regulate. These are regulations that save hundreds of thousands of lives, and cut health care costs by trillions of dollars. On top of it all, polluters and politicians want you to believe that regulations kill jobs and cripple the economy. This is absolutely untrue--and many years of a vibrant economy with hundreds of thousands of new jobs in new technologies are proof that we can have clean air, and a healthy economy. Tell your representatives to do their jobs. Not create busy work--and blow smoke. Their job is to protect people. Air pollution isn’t just dirty. It is poisonous. As a mom, I’m furious--and you should be too. Politicians can play politics with each other all they want. But they cannot play politics with my children. A couple months ago, I discovered Pinterest, a site that allows you to maintain digital bulletin boards of ideas you've come across on the Internet. The site has a social media aspect in that others can follow your boards and you can follow other user's boards - making sharing of great ideas that much easier. What does Pinterest have to do with a green blog? Sure, there seem to be a huge number of folks using it to plan weddings and remodel their homes but there are also oodles and smoodles of money saving, environmentally happy ideas. 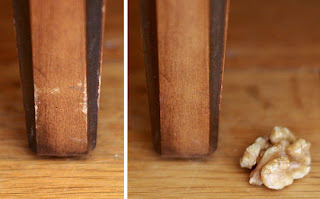 For instance, did you know that if you rub a walnut on a scratched or worn area of wood floor or wood furniture, it instantly looks good as new? Picked that idea up from Pinterest this morning and it totally works! 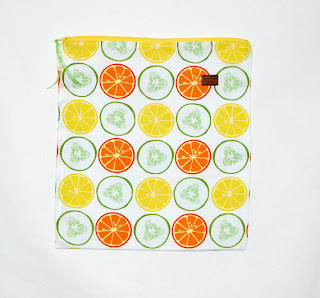 Looking to organize or swap green cleaning recipes, this is the place. Have you ever seen a floor tiled with pennies? Scrabble tiles? Wine barrel slats or wine crates? 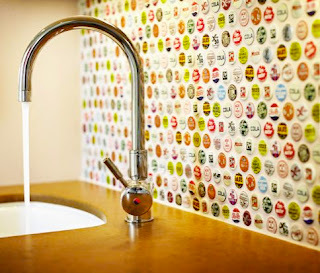 A backplash made of bottle caps? If you've ever been interested in repurposing or upcycling, you'll love this magical place where everything old is something else new. 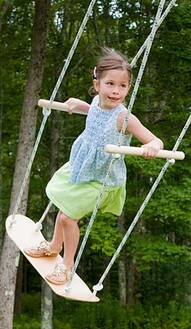 Old skateboards are shelves and swings. 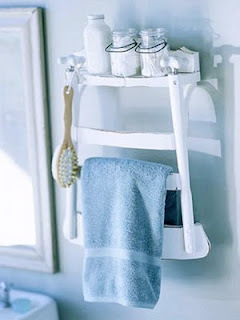 Broken chairs hold bath towels and a doll house becomes a shelf in a laundry room. 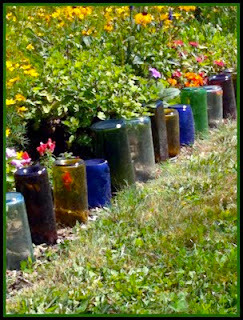 Bottles are not recycled but reused to hold bracelets, edge a garden, a chicken waterer, or light the night. 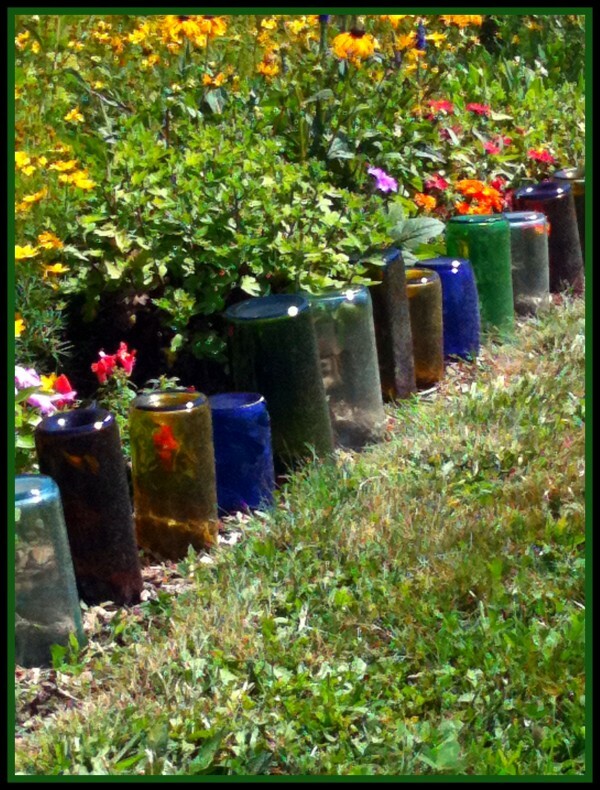 And mason jars are EVERYTHING! If you have not checked out Pinterest, toodle on over. Here's a link to my Upcycled, Repurposed, and Reused board. You do need an invitation to join so ask a friend or leave your email address here and I'll send you one. Become a pin up girl, do it yourself and never ever throw anything away again! Eco-novice gives canning a try. Can with a friend who knows how to can. This is the most important one. Canning is best learned hands-on. It is not rocket science, but for me it was definitely a rather foreign experience. Though you can probably learn to can from a book if you are a determined/ confident type, I never would have had the guts to go through with it on my own. Plus, an experienced canner probably already has all the requisite equipment, and you'll just need to show up with the food and some jars. Prepping the food and waiting for the food to process is also way more fun with a friend. Plan ahead. While my friend is an experienced canner, she had never actually canned just tomatoes before. So we found ourselves looking through her books and online once we were ready to can. And that was when we discovered that we needed lemon juice. Now we possibly could have worked around this, but, being a newbie, I was a little too anxious to do anything other than err on the side of caution. So I had to run to the store for the lemon juice. The whole experience would have been smoother and quicker with a little planning and research ahead of time. Canning is part art, part science. I thought there would be more consensus on how to can things. There seems to be a lot of disagreement regarding tomatoes in particular, since they are right on the border of acidic/ not acidic enough. 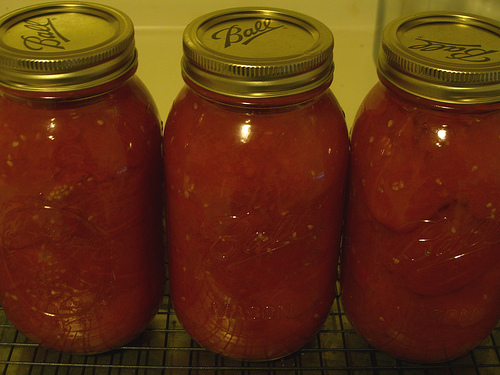 But actually it makes sense that you can find a fair amount of variation in canning advice. Canning is a traditional practice that was handed down from generation to generation long before books about canning were published. Plenty of folks are willing to disregard the mainstream advice if it's the way they've always done it and they've never had a problem. It will take longer than you think. Especially if it's your first time canning tomatoes. Do not can with small children around. My friend and I were fortunate to be able to can without our kids around. And I'm really glad about that. Especially since we used the pressure canner. Since tomatoes are still in season for a few more months around here, I won't be trying my canned tomatoes anytime soon. So the jury is still out on my first canning experiment. After we've made it through all the jars without incident, perhaps I'll feel a bit more confident about canning. For now, I'm just proud of myself for trying something new, and moving just a little step farther away from the supermarket. If you are a canner, how did you learn to can? What was your first canning experience like? 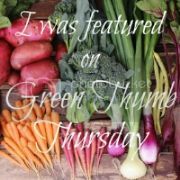 Going Green Mama reflects on history this week. All week, I have struggled with what to write on this blog. Somehow, in the shadow of the 10th anniversary of 9/11, green issues or the small details of my life simply pale in comparison. The reality is our lives irreveribly changed a decade ago. Some were personally touched by tragedy. Others felt the impact of lost jobs or conveniences. And all of us have realized a change in our society, the reality of multiple wars, heightened security and underlying worry of varying degrees. But there is something that also changed with 9/11. I was struck by one story I read that showed how Americans banded together in the time of need - and never before had charitable giving been that momentous. We showed it time and again with Katrina, with the tsunami, with Joplin, Mo. At the heart of our people is spirit of picking ourselves up, dusting ourselves off, and pulling together to solve a problem.. And I believe, as tough as it is when we are suffering as individuals with job losses or other crisises, that we still have that spirit deep within. I've heard others talk of turning 9/11 into a day of volunteerism, a day of prayer, a day of forgiveness. All are beautiful ideas. What better way to remember the sactifices of those who were lost with small sacrifices of our own. Over the Labor Day weekend, I realized that my Saturday was uncharacteristically free. Whee! A blank calendar square! My elation lasted for about 5.7 seconds... and then I promptly filled the square with two perfectly normal, suburban commitments: I shuttled myself off to pickup... bales of straw and aged manure. I'm continuing to put the pieces into place for my Great Adventure into Permaculture. It's actually becoming a great adventure in community-building as well. Perhaps ironically, my quest for straw to use as an ingredient in building up our soil quality led me to the very farm that's fighting for the continued use of the soil it's been tending for 30 years. I had a lovely visit with the farmer, who even helped me load up. Driving there, and then back home with my fully-laden car, felt like a bit of a pilgrimmage. I took my precious bales home, enjoyed a spot of lunch while Mr. Truffula helpfully unloaded, and then headed off to my next destination. The easier approach for my compost procurement would have been to call up a local retailer, and to arrange for a truck to deliver several cubic yards. But, we have a farm animal rescue not too far away, and the hoofed residents generate large quantities of, em, compost ingredients. The need for manure takers is great, and conveniently, I have a great need for manure. Yes, I could have ordered up that truck, but then I wouldn't have had the opportunity to introduce my neighbors and a friend to the rescue farm. And, the four of us, plus the elder TruffulaBoy, wouldn't have met up at the farm to wield shovels for each other. The TruffulaBoy wouldn't have visited with his favorite goat. And, I wouldn't have gone over to the neighbors' property to see what nice projects and plants are shaping up in their yard. Mr. Truffula, who kindly helped me shuttle (heavy!) buckets of compost from the neighbors' vehicle to our yard, wouldn't have had the chance to chat with said neighbors. Forget about how many grocery sacks you can squeeze into a Honda Fit; the important fact to note is that you can get exactly five 42-inch bales of straw in there. Other useful facts to tuck away in case they come in handy are that while you could double-stack containers of compost, resist temptation -- you'll hit your loading weight limit long before you run out of room. Finally, when your neighbor offers you fresh figs, accept -- they're a treat for the tongue. I'm chasing a white rabbit researching foods in the hopes it solves my son's behavior issues. It isn't anything major. He just seems destined for an ADHD diagnosis but something about that seems a little off. I've wondered if he's on the autism spectrum despite the fact that his pediatrician assures me he's too verbal and affectionate for me to be looking for an autism diagnosis. When it is just me and the kiddo, everything seems normal — because he is my normal, even when he's repeating the same phrase over and over or I'm once again looking up the signs of Oppositional Defiance Disorder. When I see him around his K-4 peers, I realize it just seems harder for him to do what is expected of him. On some days. Other days, he's status quo. He's bright. It is just the concentration and ability to cooperate are missing sometimes. We were considering testing for who knows what, but I decided to look a little more closely at the Feingold diet before we go down that road. I looked into the diet a little in January when Jenn the Greenmom wrote "Food to Dye For." At the time, I dismissed the idea. We buy mostly organic and I've been aware of behavior problems caused by food dyes for some time, so we eliminated them long ago. I couldn't conceive of eliminating salicylates when the child loves apples and he's so picky that I can't get him to eat many fruits and vegetables. In the meantime, I'm fascinated by the examples of children helped by the diet in the packet I received in the mail and in the book Why Can't My Child Behave? And there are examples of artwork or handwriting by children on and off the diet. There are days by just-turned-5-years-old son colors beautifully in the lines and other days where he scribbles madly. Could it really be that preservatives or apple juice addle his brain? His behavior is dramatically affected by red dye. He definitely can't have have candies, tattoos, anything with red dye. But apples and grapes? This is really tough for me to swallow. And a six-week elimination diet to see if it makes a difference seems daunting. Have any of you tried the Feingold program? What was your experience? For those that don't know, I live in Oklahoma. Currently Oklahoma and Texas are in an extreme drought and have been for around a year now. The drought has brought on wildfires that have claimed lives, homes, and thousands upon thousands of acres. While Oklahoma does still have fires burning, including a large one that has burned more than 30,000 acres in the Wichita Mountains, the fires here are thankfully in not largely populated areas and most are contained. Texas on the other hand is in desperate need of help. There is a massive fire that is estimated to have taken around 1,000 homes already. It's in Bastrop County, which is south east of Austin. As of less than an hour ago, Bastrop County Office of Emergency Management (BCOEM) reported that 0% of the fire is contained. They have closed school in the area for the rest of the week and much of the area is being evacuated. A call has been put out for volunteer firefighters that can and are willing to go help. And they are also in need of help getting animals evacuated. We found during the Oklahoma fires many people didn't have time or a good way to get their animals out. Often firefighters are forced to just cut fences and let animals loose so they can get to safety. This fire is a reminder of what our changing climate can do. 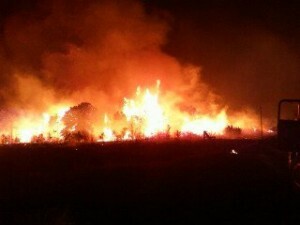 With increased droughts will come an increase of fires like these. There is no end in site for the Oklahoma and Texas drought and sadly this is not likely the last major wildfire the two states will face. Video of the Bastrop County Fire. If you would like to donate to help the people in Bastrop County here are some ways you can do so. You can also donate to the American Red Cross of Central Texas. They are providing shelter, food and other services. Going Green Mama mulls her son's employment future on this Labor Day weekend. My 3 year old's dream? It used to be being a bus driver. This week, it's to be a trash man. But what if we could cut his career prospects? Economy aside, what if each of us was just a bit smarter with what we did? What if we didn't buy so much? That we planned before we spent? That we bought what we needed? What if we opted to compost our food waste, our coffee grounds, our leaves instead of bagging and trashing them? What if we opted to buy higher quality for long lasting things than something just because it's cheap? What if we didn't buy something just because it's the latest and greatest, only to find it upgraded three months later? What if we recycled what we could, got used instead of new and took the steps to find the things that weren't quite ready to be recycled had an appropriate home for the future? What if instead of shipping plastic-wrapped food across the seas that we bought from our local farmer? I think we could cut my son's career prospects quite a bit. Or maybe he'd find the recycling guy was a much cooler career. We got hit by Hurricane Irene on Sunday, which was very destructive to our area. We were fortunate at our house to never lose power, so we became the soup kitchen and shower area for our friends and family. My in-laws and my husband's business still don't have power back on as I'm writing this... Plus I started school this week in the craziness, but they decided the roads weren't safe for buses (they're not!) and some schools don't have power, to students won't start until after Labor Day, at least! My family's farm was featured in a news story about crop damage. You can go here to watch it! My uncle, cousin and grandma did a great job! Sorry I don't have a longer post today, it's been a busy week! Were you hit by Irene? How did you fare? From the fully processed bean of Green Bean. All spring and summer, I've been a growing fool. Growing peas and tomatoes, crookneck squash and sunflowers. Caring for my fruit trees - apple, Asian pear, plum and fig. And now, all of my work has come to fruition - literally. I fill gallon-sized buckets of tomatoes several times a week. I paid the kids to pick the apples and nearly went bankrupt. And the crookneck squash have continued their summer onslaught. My family gobbles up these easy and delicious Apple Bars. An experiment with the slow cooker turned out well when we made this simple, apple-consuming Slow Cooker Apple Cobbler. Apple Rings dehydrated while covered with cinnamon-sugar are great for snacking and lunchboxes. A not-too-sweet treat. Apple Sauce and apple sauce turned into Apple Fruit Leather (in the dehydrator) are stand-bys. I don't make a lot of these because my family isn't big on the apple sauce thing but it does make a nice dent in the apple bushel. All Day Apple Butter never fails, cans well and is usually my go to end-of-the-season, stop the apple show recipe. Besides, these make wonderful holiday gifts come December. We've all heard the jokes. Monstrous zucchini left on neighbor's porches. Locked doors to prevent bags of friend's squash being stuff inside. But keeping up with the abundance of summer squash is serious and tasty business. Summer squash finds its way into every Pasta Dish we make in the summer. Thickly chopped and sauteed with fresh tomatoes and basil, shredded and mixed with sauce in lasagna, and pulverized in the canned tomato sauce so that kids won't realize it is squash in January. I mix shredded squash in with vegetarian taco meat on Taco Night and with beans, tomatoes, onions, garlic and oregano for Quesadillas. Here was the inspiration for the latter. Squash is just as easily added to Indian Curry recipes as well (see below). Dehydrating squash slices is a great way to preserve them for soups and stews later - or have your kids eat them out of the jar. Of course, Zucchini Bread and Zucchini Spice Cake are stand-bys but the waist line can only take so much. I keep meaning to try Zucchini Fritters or Zucchini Noodles and then there are the wonderful lists of 101 Ways to Use Up Your Zucchini circulating around the Internet. I swear I'll work my way through all of them sooner or later - if my harvest luck holds. Salsa is what fresh tomatoes were made for! I don't have a recipe - just toss some cilantro, peppers, sugar, vinegar, and pepper - oh, and tomatoes in a food processor and give it a whirl. Adjust to taste. Pasta Sauce is a dead giveaway. I like tossing whole cherry tomatoes in with some peppers, garlic and, you guessed it, squash. Put some basil in at the end. Alternatively, I cook down 20 lbs of tomatoes, 4 carrots, 2 onions, 3 Tablespoons sugar, 3 teaspoons salt for an hour and then puree and freeze. And yes, I can hide squash in that recipe as well! Indian Curry is awesome because it can soak up tomatoes (they say three, I say ten!) and you can sneak in at least a cup or two of shredded summer squash. I toss the latter in with the tomatoes. Boother Green Mom in the Burbs swears by roasting them and Boother Going Green Mama shared an awesome fresh tomato soup recipe. Tomatoes can also be canned, frozen in half on a cookie sheet (apparently skins come right off after you thaw), dehydrated and sun-dried. Thanks to those of you who shared your ideas for preserving tomatoes on the Green Phone Booth Facebook page! There is nothing, and I do mean nothing better than enjoying tomatoes on a cold February day. That is how I've been spending my August and, if luck holds, my September. How have you tamed your harvest?